We are so excited about Toy Story Land! 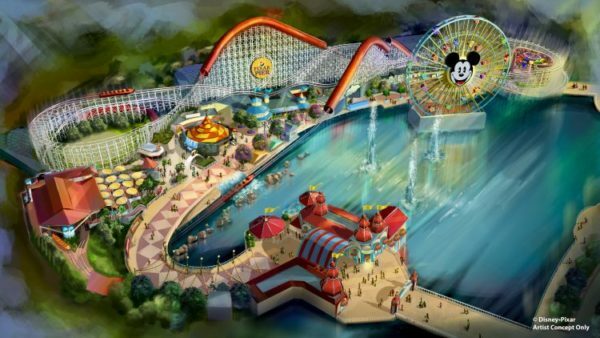 Other than the new rides and attractions that are coming to the new Land, we really don’t know much about it. Well, today Chip is at an official Disney Toy Story Land preview event and just received these exciting details about what Guests can expect! First off, Guests entering the land will be shrunk down to the size of one of Andy’s toys. Just imagine being in your own back yard surrounded by all the grass and plants. Of course one of Andy’s favorite toys, Woody will be there to greet you! In addition, Guests who enter Toy Story Land will be able to take it all in at once. All the blocks, Tinker Toys, and everything else will be right there waiting for you. Then, it’s on to Toy Story Mania! As we have reported, the entrance to the ride is currently undergoing a refurbishment ahead of Toy Story Land’s opening. Guests in the queue will go under, over and, next to all the toys that make up what Andy calls the “carnival under his bed” while you head to Andy’s bedroom and play the awesome Toy Story Mania game. Across the street from Toy Story Mania will be the Alien Swirling Saucers ride. The Pizza Planet toy-themed ride features dozens of little green aliens spinning through the Universe of Peperomia and you, the Guest, are along with the exciting ride! Guests will be in their own toy rockets passing through the ultimate space universe. And, of course, one of the highlights of Toy Story Land will be Slinky Dog Dash. Riders of the roller coaster will get to explore Andy’s imagination first hand. Andy uses new and old toys alike to build the coaster that takes Guests on a tour of his entire backyard. The place to eat in Toy Story Land is Andy’s Lunch Box. Guests will dine in Andy’s vintage wooden, rounded lunch box. Guests will dine alongside the Thermos and all of Andy’s food that he eats for lunch. Guests will also order their food through Tupperware windows. So exciting! Stay tuned for additional Toy Story Land news coming up soon! 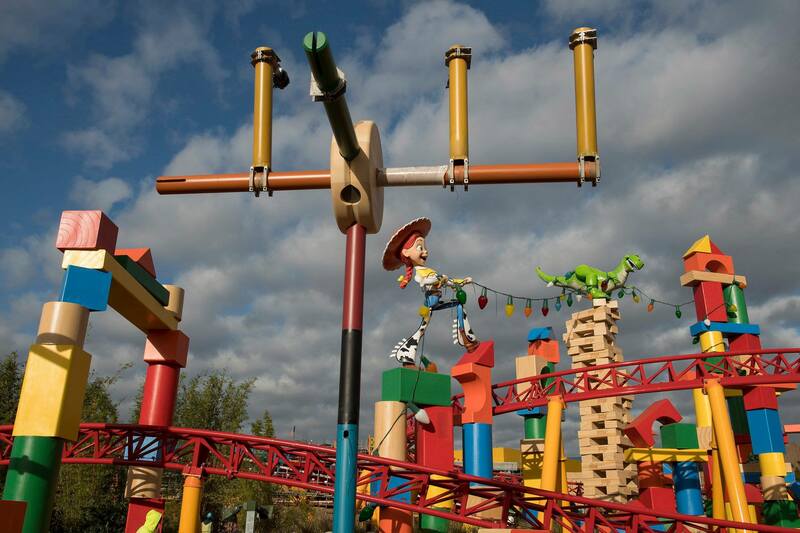 Let’s start visiting your trip to Toy Story Land! CLICK HERE, fill out the form below, or send an email for a FREE, no obligation quote with an Authorized Disney Vacation Planner. I offer rate monitoring to ensure you are receiving the best available rate offered by Disney and my services are 100% FREE!